I thought it looked familiar. Same dimensions as the Define R6. 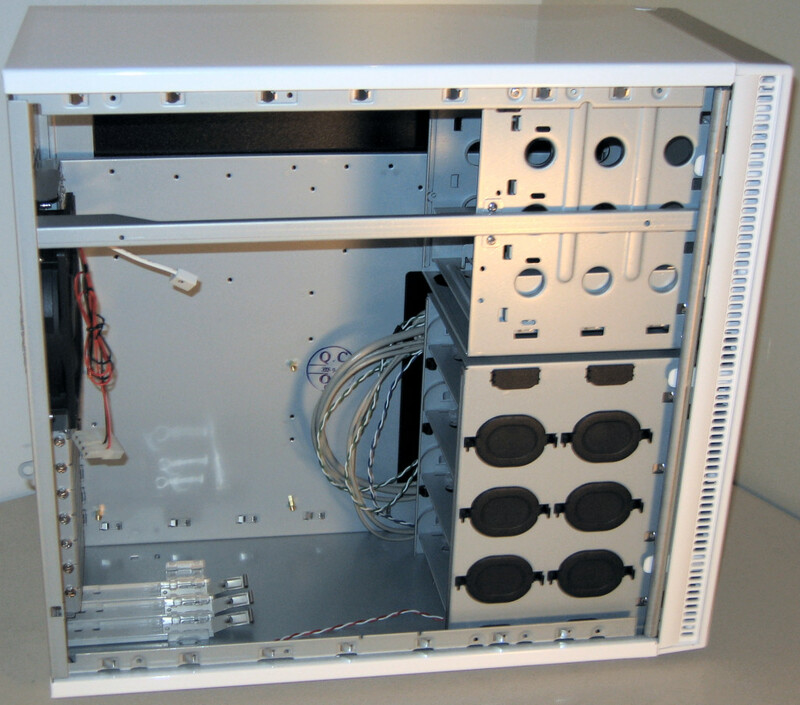 Same front panel connectors as the Define R6. Same pop-off top as the Define R6. Looks like the Define R6 with a permanent optional "open" configuration setup (see Define R6 manual for details). 1) Less HDD cages overall. 2) 3 HDD mountable drive cages on the back side of the tray can be used with HDDs or SSDs. I could only get one of those mounted on my Define R6 and it only mounts in a vertical orientation. The HDD/SSD mount availability with the on the S2 is definitely a refinement over the R6, if you use the "open" configuration of the R6. If you need more HDD drive mounts, the R6 is still king. Include more SSD trays. In addition to the SSD drive tray mount points on the backside of the motherboard tray, there are two more SSD mount points above the power supply in the main section of the case (just like the Define R6!). Whether you get the S2 or the R6, you only get two SSD drive trays and Fractal doesn't sell these separately if you want more of them (I waited one month for this answer from the Fractal sales team). Why not throw in two more SSD trays, Fractal??? What if you're the type of person that wants their RGB SSDs showing up front with your main components? You have arguably the best cases available. Just include two more SSD drive trays! Geez! I'm sorry, but the first thing I thought when I saw this case. Wow, and it does look a bit like my old Antec P150 case. You make an excellent point!... That is if you consider only the slots for fan intake at the front of the S2 and ignore every aspect of the case beside that. @ubercake - Good point, it looks very similar. I didn't have the chance to test the R6 (and it was review @ guru3d before I arrived). @mrrulez911 - still better than a quite many cases today, that have tempered glass panel everywhere, including the front . I usually don't care or comment on stories like this but that's a nice case! I may pick this up since I'm getting tired of using the same old tower for my last 2-3 builds. I'm using the case of a COMPAQ Presario SR1220 NX. Clean looking case. I want something new tho. Not crazy wild "new". Just a new cool idea. Looks like my other cases. @Dimitrios1983 - yep, it's looking fine, especially I like the clear window panel in this white version. Man, all the wasted empty space... ITX cases have spoiled me in the last couple of years. @msotirov - you can mount a lot of liquid cooling here and wouldn't look so empty. For test rig there should be more universal components used. It's already a 280 mm rad (usually 240 mm are used) and 120 mm rad for GPU. Not a standard in other website reviews.